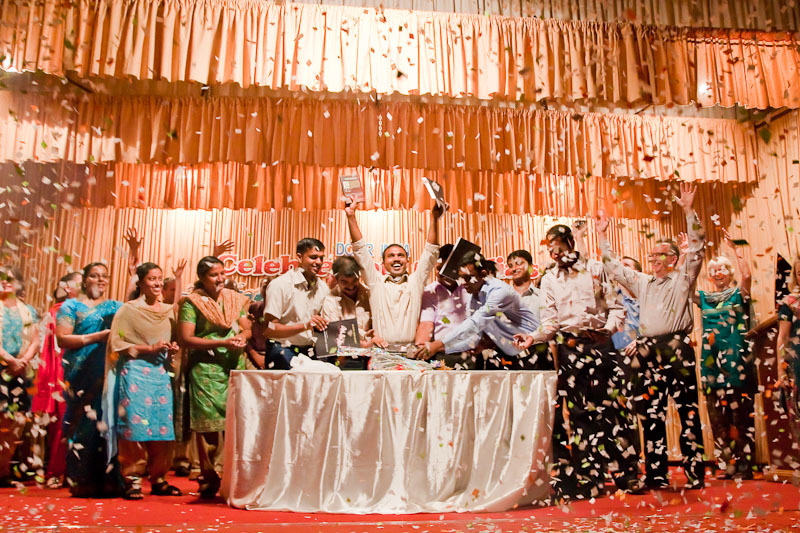 With earth-shaking confetti cannons, hundreds of Deaf Indians celebrated the opportunity to understand God’s Word as Bible passages in Kerala Sign Language were dedicated to an overwhelming crowd on 30th January. 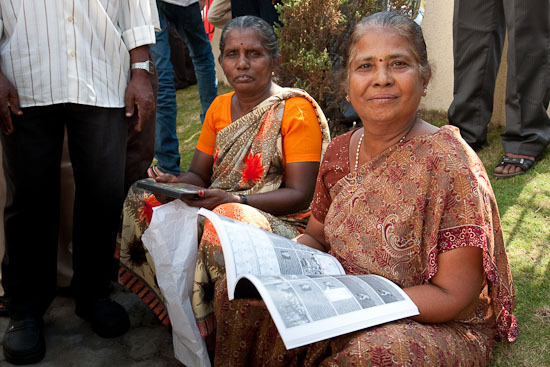 Approximately 900 Deaf people eagerly packed into a concert hall in Cochin, India, while another 300 congregated outside on a hot day in southern India’s dry season, awaiting the release of the Bible DVD and storyboard book, the first of its kind in India. 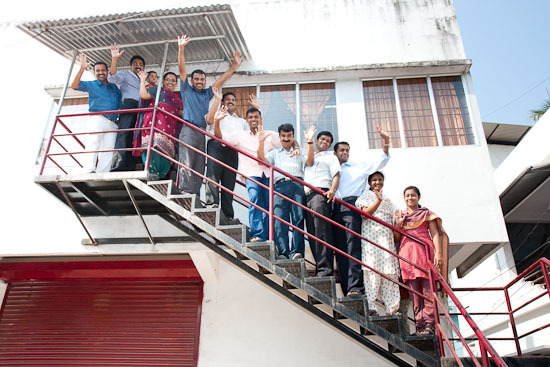 The indigenous all-Deaf translation team of six men and two women were trained and supported by Deaf Opportunity OutReach (DOOR) and Wycliffe. They presented the result of years of hard work – 32 carefully selected foundational Bible passages, from creation to the establishment of the church. Plastic chairs filled the aisle ways. People stood along the walls. Everyone watched intently as two big video screens clearly broadcast sections of the DVD Bible, as well as the testimonies, stories, skits and songs which were signed to those that had gathered from many parts of India. The DVD, expertly and lovingly crafted for Deaf by Deaf, includes an introduction to Bible history and chronology with time lines, diagrams and pictures to explain cultural and historical information. Accompanying the Bible DVD is a storyboard book with pictures and visual representations of signs which enables people to retell the stories accurately after viewing them first on the DVD. This picture book was created especially for occasions when there is no electricity or DVD player available. During the service a skit was presented that sketched the reality for Deaf people who are dragged along to church by their friends or family. The scene showed a blind man, a crippled man and a Deaf man’s hearing father who could all enjoy the church service, understanding the preacher and reading the Scripture text together. The Deaf son, however, was horribly bored by this incomprehensible gathering, neither able to hear the preacher, nor read the Bible. He begged his father to let him go play cricket with his friends. Although the crowd was extraordinarily quiet throughout the three hour event, during this skit there was a great liveliness and shuffling as the Deaf audience rocked on their seats in laughter and applauded in agreement by raising their hands and shaking them in the air. Following the final confetti bombardment and the distribution of the Bible materials to various ministry teams, the celebration continued with lunch for everyone. Lively sign-discussion filled the foyer as the attendees conversed for hours afterward, thrilled by what they had seen and excited by the new possibilities for evangelism to the wider Deaf community. One man introduced himself to the translators as the crowd went downstairs for lunch, signing that he had travelled for 3 days on a train from Delhi to be present at this event and pleaded for a translation into his own sign language used in Delhi. One of the reasons this dedication brought Deaf people from all over India and kept them rejoicing in the foyer for hours afterward is that most Deaf people can’t read. Some can but find it very difficult since they’ve never heard the language that written symbols on a page represent. Without the association of sound to symbol every written word must be memorized like a phone number, and who could possibly enjoy, or get meaning from, reading a page of phone numbers. Even where educational support is available the average Deaf adult only achieves the reading level of a hearing eight year old, and the Deaf literacy rate worldwide is only 15 percent. In India, like many other countries, Deaf people live in an information vacuum, cut off from spoken and written communication. They are isolated from hearing society, not understanding their family’s religion, their siblings’ aspirations, or even knowing their parents’ names. However, where the Deaf congregate together they develop their own sign language, which is unique to that region and the community who use it. In our modern age, the Christian community has used many new and creative ways to communicate the gospel to the lost, but all efforts thus far have failed to bring this message to millions of the world’s Deaf. Christian radio and television broadcasts, gospel audio recordings, printed Bible translations, tracts, songs and drama, the “JESUS” film – all of these things are inadequate to reach the Deaf community. This is the first time in history that the Deaf community in southern India has God’s Word from which to teach, encourage, disciple and build the faith of their community. 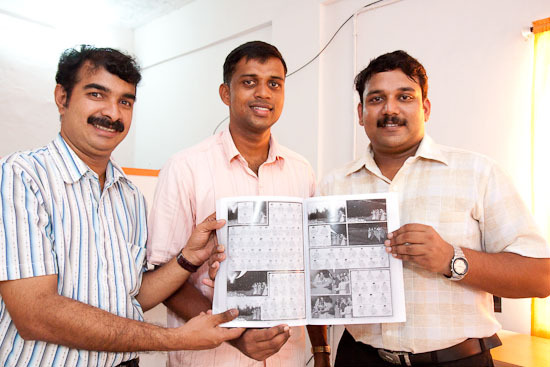 Translator Aryan is confident the Good News will spread quickly amongst the 100,000 Deaf living in India’s southern state of Kerala. It’s heartbreaking that it took the Christian community almost two thousand years to make the Gospel available to all these marginalized people. With an estimated 9 million Deaf in India, using dozens of different sign languages, there is still so much work to be done. The above is an article Elyse wrote to be used for publication by DOOR International, and various Wycliffe Organisations around the world. It is currently published on Wycliffe.net.